Steve White recently visited an early childhood classroom and observed a male teacher holding a doll to show a young boy how to handle a baby. The experience struck White, senior director of school leadership for Sheltering Arms Early Education and Family Centers, as formative for the boy. White recounted this story during a panel discussion about men in early childhood education with his colleagues from Educare Atlanta and its parent organization, Sheltering Arms, at the recent Educare Learning Network Meeting. Studies find that children achieve more when they have both female and male role models. Yet most teachers, especially in early childhood education, are women. The panelists discussed the challenges to recruiting men into early childhood education. “One of the greatest disadvantages is that our society does not [hold] education as valuable as it should be held,” said Brian Bowers, a family support specialist for Educare Atlanta. Men are reluctant to join a field that is not well respected, he added. The panelists explained how recruiting men into the early childhood field needs to be intentional. One way to encourage men to work with young children is to emphasize how teachers can inspire them through reading, singing, dancing and other learning activities. Boys and girls learn differently, so it’s good to have role models that are both male and female. “The big advantage [to having male teachers] is when we see boys mimicking the teaching, playing and doing what we’re doing—because we’re hands-on with them,” said Randy Berry, a family support specialist at Educare Atlanta. 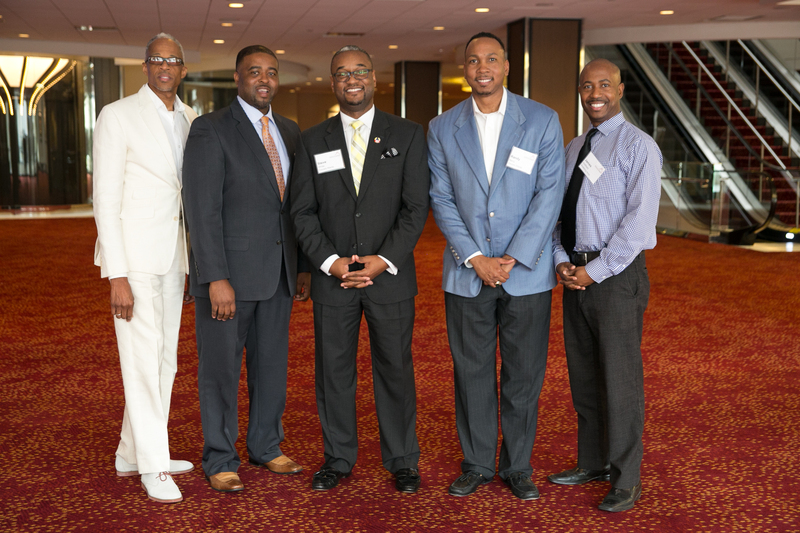 The panelists said they hope to inspire more men to enter the early education field. Read more stories of men in early education.